Disco Deviant is proud to invite Australia’s finest musical export and chief disco vigilante Late Nite Tuff Guy for a very special Bank Holiday Sunday set at Patterns in August. A superb DJ with immaculate programming and flawless mixing skills, Late Nite Tuff Guy’s rise has been nothing short of spectacular. His talent for reworking classic, soulful disco tracks into modern clubbing wonders has propelled him to the top of the edit scene, with his reworks rapidly becoming classics in their own right. With releases on TK Disco, his own Tuff Cuts / Soul Cuts imprint, as well as Midnight Riot and Razor N Tape, to name a few, LNTG remains the undisputed king of modern disco. His remix credentials are just as impressive - his latest and most notable contribution was the official remix of New Order - People on the High Line, which kicked off a busy summer schedule in 2016. 2017 has so far seen him deliver killer sets at Rainbow Serpent, Splendour in the Grass, Boardmasters, Ibiza, Berlin, Manchester and London. 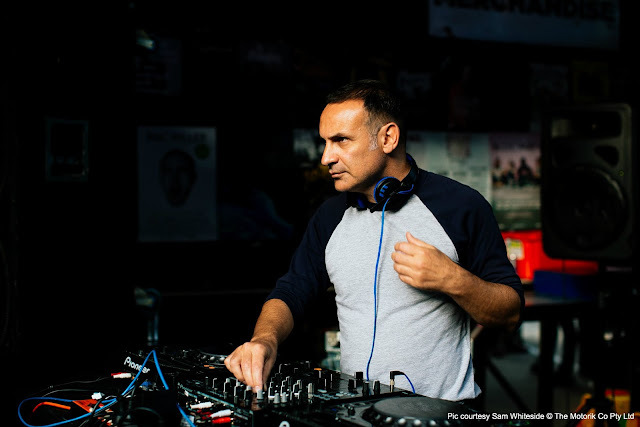 His sets, characterized by the kind of effortless mastery that can only come with experience, have won him thousands of new fans throughout the world, in packed clubs from Glasgow to Bristol and Dublin to Vienna, Oslo and Paris. We are lucky to have found the chance to invite him back to Brighton for the first time since last summer. 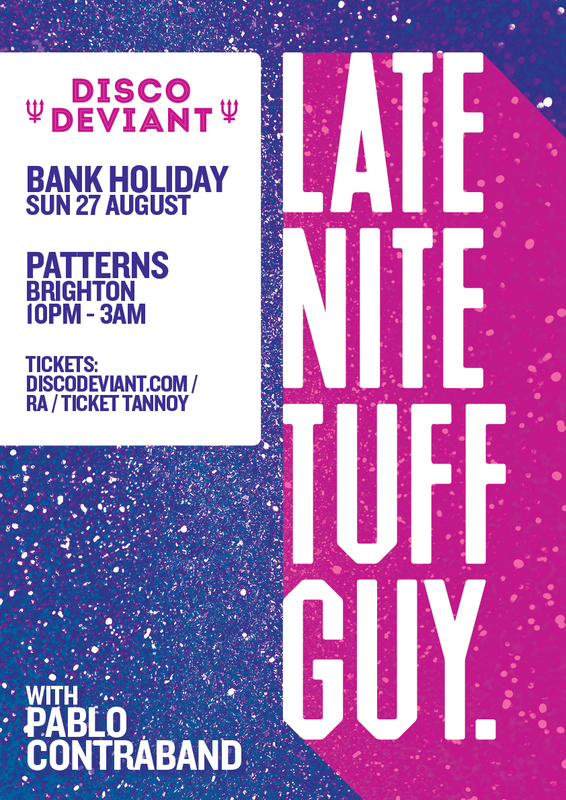 Pablo Contraband is back for a special Brighton appearance, after the Disco Deviant party with Crazy P and DJ Nature at the end of July. Jakespeare opens proceedings setting the mood for a sultry, soulful night from 10pm.